Get involved beyond the classroom. AIGAUNO is a partnership between Art & Art History's concentration in graphic design and the UNO student chapter of AIGA, the national professional association for design. As an AIGA "Design for Good" initiative, AIGA UNO's volunteer designers work with on-and off-campus clients to make a better-designed world. We’re committed to advancing design as a process that has the potential to craft social value through meaningful design and communication. MavRadio is the only student-run station operating in the Omaha metro area. 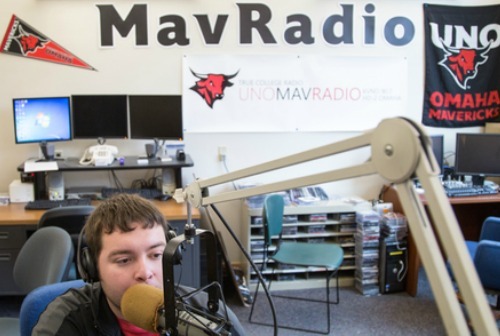 Broadcasting from the UNO campus, MavRadio strives to enrich the UNO and Omaha communities by engaging, informing and entertaining. The station also serves as a learning lab for our broadcasting students, helping them gain real-world experience to help them launch journalism or broadcasting careers. In the National Broadcasting Society, students learn more about the industry and available careers and get to know area professionals. The Ad Club helps members improve their knowledge in the field of advertising through interaction with peers and professionals. Meet students and those working in the communication, advertising and marketing worlds. UNO’ss chapter is affiliated with the American Advertising Federation and the Omaha Federation of Advertising, though all majors are welcome. 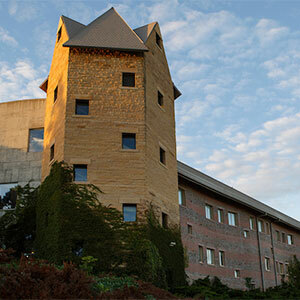 MaverickPR is UNO’s chapter of the Public Relations Society of America (PRSA). Members can network with community professionals for key contacts in finding internships and jobs, take part in professional development events, participate in state and national PR competitions, and take part in service projects in the community. Our award-winning chapter also offers members the opportunity to apply for national scholarships and internship opportunities. promotes careers in print, broadcast and online journalism, and increases awareness of First Amendment freedoms. Members are introduced to local and national professionals. As UNO’s premier concert band, the Symphonic Wind Ensemble has a reputation throughout the country for its exceptional performances of traditional and contemporary wind literature. Comprised of some of the most outstanding musicians on campus, the ensemble performs an average of five concerts a year, including the annual Honor Band Festival. Auditions are required for this ensemble. The MarchingMavs perform at regional marching band festivals and local university functions. There is no audition required. 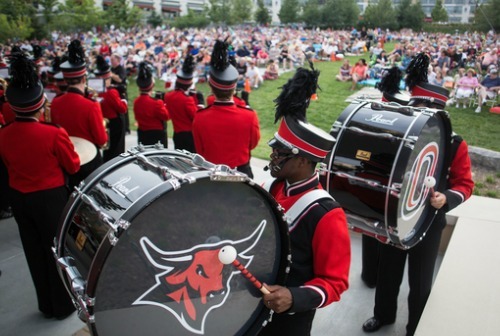 The University Band is designed to meet the needs of players who wish to continue their band experience. A non-auditioned ensemble open to all UNO students, faculty and staff, the group performs a December concert and two concerts during the spring semester. The award-winning UNO Jazz Ensembles continue to receive acclaim for their outstanding musical performances. In addition to hosting theUNOO Great Plains Jazz Festival, the groups compete at nationally recognized competitions, including the University of Northern Colorado and Wichita Jazz Festivals. Jazz Ensemble membership is open to all students through an audition. Jazz Band membership is open to all students with no audition required. An active Jazz Combo program is also available to all students. The Concert Choir isUNO’ss large auditioned choral ensemble, consisting of 55-60 singers. In addition to campus and local performances, the group has performed at Carnegie Hall and made several international tours. All majors are welcome; open auditions are held each fall. The University Choir is a non-auditioned ensemble open to all UNO students, faculty and staff. The 60+ singers involved in this group perform hallmark choral works such as “Gloria” by Vivaldi and Handel’s “Messiah.” The organization is designed for student singers who wish to continue their choral experience and encourages collaboration with other Omaha arts groups. 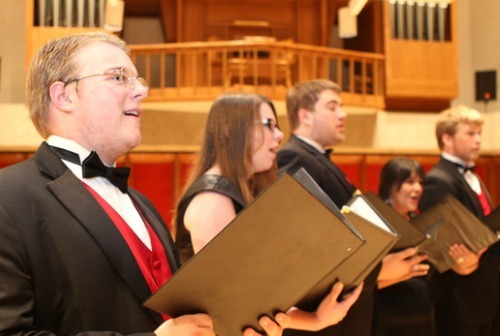 The choir performs two concerts a semester. is UNO’s award-winning competitive speech program. Ranked in the top 10 nationally the past five years, MavForensics competes in tournaments throughout the Midwest and United States. The organization helps members develop research, critical thinking, public speaking and performance skills. fosters an understanding of careers in training and development. Students benefit from a network of contacts, including trainers and companies, as they begin their job search. The mission of UNO Theatre is to let you unleash your creative spirit! Students audition for roles in a variety of productions which take place during the academic year, and may also gain theatre experience in other related positions. 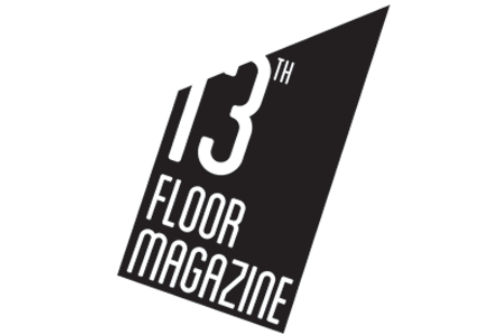 A product of UNO’s Writer’s Workshop, 13th Floor Magazine showcases the best in student prose, poetry, and visuals. Work accepted includes poetry, fiction, nonfiction, micro-fiction, novella, personal essays, comics, drama, painting, photography, transcripts, and epic poems. UNO's student writing organization The Crop hosts open workshops for creative writers of every department and major, and is a valuable networking tool for writers within the university and the community. The organization meets for workshops and readings at local coffee shops, parks, art galleries, and other venues.